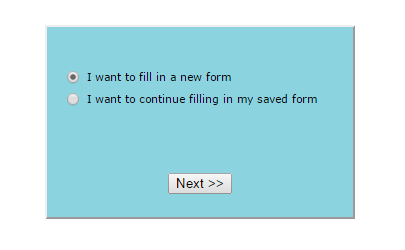 You can give visitors the option to save their form entries so they can retrieve and finish them later. Using this feature, the form will have a ‘Save’ button in addition to a ‘Send’ button. 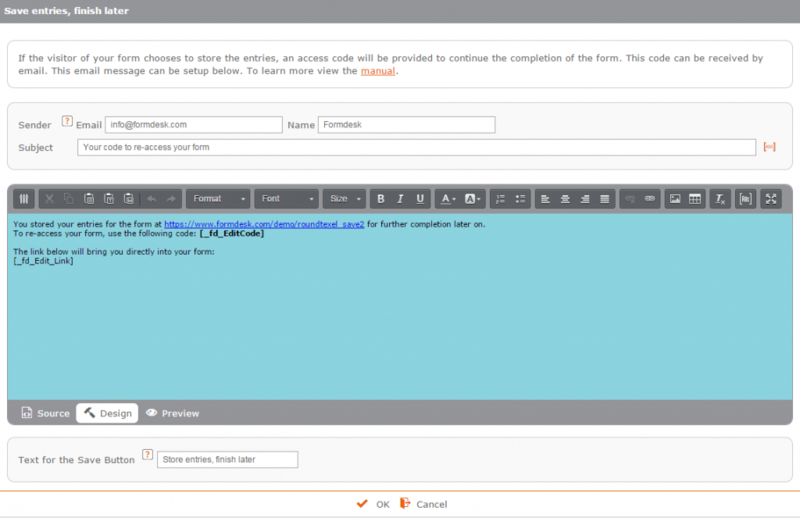 When the user saves the form, Formdesk generates a code that can optionally be sent via email. Using this code the visitor can call the form later to finish and submit it. You can view all incomplete entries in the results overview. If the visitor submitted an email address, you can also send him a reminder of the incomplete entry using a group email. If you are using login forms, a visitor can access his stored entries by logging in with his username and password.